They include the new James H. Manning Professor of Chemical Engineering and the second Alena and David Schwaber Professor of Environmental Engineering. 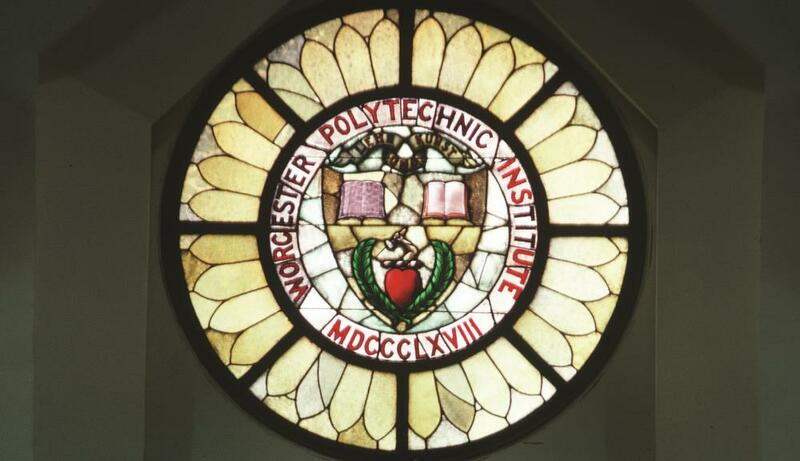 Worcester Polytechnic Institute (WPI) welcomed 44 new full-time educators and researchers to its faculty ranks this academic year. The new faculty class included Jennifer Wilcox, who has rejoined WPI as the new James H. Manning Professor of Chemical Engineering, and Harold Walker, the second Alena and David Schwaber Professor of Environmental Engineering. Joseph Aguilar is an assistant teaching professor of English and writing. The author of the book Half Out Where, he has been published in The Iowa Review, DIAGRAM, Tin House, and The Threepenny Review. His teaching and research interests include fiction, poetry, creative nonfiction, folklore, science fiction, and the contemporary American novel. He received a PhD in literature and creative writing from the University of Missouri. Ajit Appari is an assistant teaching professor in the Foisie Business School. An empirical scientist, his research focuses on the economics of information technology in the healthcare sector and the socioeconomics of health and healthcare delivery on people with multiple chronic conditions. Prior to joining WPI he was an assistant professor of healthcare management and policy at the University of Texas Health Science Center at Houston. A senior editor for the journal Electronic Commerce Research and Applications, he earned a PhD in business administration from Syracuse University. Shamsnaz Bhada is an assistant professor of electrical and computer engineering who joined WPI in 2013 as an assistant teaching professor. Her research involves using systems engineering tools and processes to build descriptive, analytical, and predictive modeling of large heterogeneous systems, ranging from Veterans Administration policies to robotic systems. She previously held academic positions at Penn State-Great Valley and the University of Texas-El Paso. She earned a PhD in industrial and systems engineering at the University of Alabama at Huntsville. Forrest Buzan is an assistant teaching professor in computer science and robotics engineering. He previously taught at the University of Hawaii, Manoa, where he received the 1991 Electrical Engineering Department teaching award. He has spent most of his career working in small high-tech startups as a consultant, a contributing engineer, and a manager. He earned an SM and a ScD in mechanical engineering at MIT. Berk Çalli is an assistant professor of computer science who is also affiliated with the Robotics Engineering Program. He joins WPI from the Grab Lab at Yale University, where he worked on robust within-hand manipulation techniques. A roboticist with a primary focus in robotic manipulation, he develops algorithms that enable robots to interact with objects around them. He earned a PhD in biomechanical engineering at Delft University of Technology. Danielle Cote is an assistant professor of mechanical engineering and director of the Center for Materials Processing Data, part of WPI’s Metal Processing Institute. She was previously an assistant research professor at WPI. In her research she uses computational kinetic and thermodynamic modeling to enhance the metallic feedstock powder used in additive manufacturing processes—work funded by the U.S. Army Research Laboratory. She earned an MS and a PhD in materials science and engineering at WPI. Lindsay Davis is an assistant teaching professor of U.S. history. Before joining WPI, she taught in the Women’s and Gender Studies Department at the University of Massachusetts Dartmouth. She is also a member of Telling My Story, a prison theater non-profit organization based in Vermont. In her scholarship, she analyzes popular representations of prisoners and prison practices, such as mainstream newspapers, popular film, and novels, to understand the historical trends of and changes to containment and punishment. She earned a PhD in American Studies at George Washington University. Lorenzo De Carli is an assistant professor of computer science. Before joining WPI, he was an assistant professor of computer science at Colorado State University. His research focuses on network security, in particular exploring how to build networked computer systems that are robust to attacks and minimize the probability of human errors. His overriding goal work is to prevent issues such as data breaches and identity theft. He holds an MS and a PhD in computer science from the University of Wisconsin-Madison. Daniel DiMassa is an assistant professor in the Department of Humanities and Arts. He has taught courses on German language, literature, and film history at WPI as an assistant teaching professor since 2014. His research explores literature, religion, and aesthetics between the 18th and 20th centuries, with a particular focus on understanding how art and literature become sources of meaning in cultures where religion is in decline. He earned an MA and a PhD in German at the University of Pennsylvania. Yarkin Doroz is an assistant teaching professor of electrical and computer engineering. He was most recently a research scientist at the New Jersey Institute of Technology. He works in the areas of security and cryptography, with a particular focus on homomorphic encryption, a new technology that makes it possible to implement almost any computation in the cloud privately, without reveling any information. He received a PhD in electrical and computer engineering from WPI. Tatiana Doytchinova is a senior instructor/lecturer of mathematical sciences. She previously worked as a reliability engineer at Maxtor Corporation, a statistician at Allegro Microsystems, and an adjunct instructor at WPI. She holds MS degrees in mathematics from Moscow State University, in applied mathematics from Carnegie Mellon, and in applied statistics from WPI. Vladimir Druskin is a research professor in mathematical sciences who previously worked at oil and gas industry research centers. His primary research interest is new algorithms of model- and data-driven model reduction, with the objective to use the reduced-order model for more efficient simulation and imaging in large-scale problems of geophysical hydrocarbon exploration, as well as radars and sonars for defense. He holds two PhDs from Moscow State University, one in applied mathematics and one in physical and mathematical sciences. Mohammed El Hamzaoui is an instructor in the Arabic and ESL programs. He has taught English as a foreign and second language and writing for more than six years in public and private schools in the United States and Morocco, and is conducting research in these and related areas. He also teaches Arabic to non-native speakers. He earned a BA in English studies and an MA in applied language studies and research in higher education at Sidi Mohamed Ben Abdellah University Fés in Morocco. Despoina Giapoudzi is a visiting instructor of drama/theatre. She has experience in most areas of the theatre, though her primary interests are set design and directing. She says she is particularly passionate about theatre as a school. Having worked on projects in Greece, Italy, New Zealand, the United Kingdom, and the United States, she has returned to WPI, where she earned BS degrees in architectural engineering and humanities and arts, while she works on an MA in performance design and practice at the University of the Arts London. Edward Gonsalves is a full-time instructor in the Foisie Business School. His professional career has been primarily spent in the semiconductor and identification technology space. His current professional focus is in the marketing and development of technology products, while his academic focus is on the development of simulations and digital learning tools for the classroom. He earned a BS in electrical engineering and an MS in management science from WPI. Adryen Gonzalez is a visiting instructor of humanities in the Interactive Media and Game Development program. She is an artist whose works range from figurative ceramic sculptures to poetry and film. Her work focuses on concepts of identity and provenance through the exploration of universal motifs in the visual language of shamanistic Neolithic peoples and their intersection with visual representations in modern life. She holds two BFAs from the California College of the Arts in San Francisco. Ulkuhan Guler is an assistant professor of electrical and computer engineering. She was most recently a principal design engineer with the Semiconductor Technologies Research group in TUBITAK and a postdoctoral research fellow at Georgia Institute of Technology. Her research interests lie in the broad area of circuits and systems, with a primary focus on analog/mixed signal integrated circuits. She earned a PhD in electronics engineering at Bogazici University in Turkey. Edward Gutierrez is an assistant professor of humanities and arts with a joint appointment in Interactive Media and Game Development. He was previously an assistant teaching professor at WPI. He is an educator and independent filmmaker with a focus on the improvement of animation education, the development of personal voice in students, and use of art as both self-expression and social activism. His career as an animator and designer included work on such films as The Little Mermaid, Pocahontas, and Home on the Range for Walt Disney Feature Animation, He received an MFA at the Academy of Art University in San Francisco. Major Adam Heppe is a professor of military science and commander of the U.S. Army ROTC Bay State Battalion, located at WPI. He received his commission from the United States Military Academy at West Point and has served in a series of command and staff positions, most recently with the 101st Combat Aviation Brigade at Fort Campbell, Ky. He holds a BS in engineering management from West Point and an MBA from Webster University. Jagannath Jayachandran is an assistant professor of mechanical engineering. His research is geared toward developing a better understanding of the physics and chemistry of combustion processes like flames and ignition, work that is crucial to the validation of chemical and transport models that are used to design better engines. He received MS and PhD degrees in mechanical engineering from the University of Southern California, where he worked as a postdoctoral scholar and research associate in the Combustion and Fuels Research Lab. Hyunju Lee is an assistant research professor in WPI’s Metal Processing Institute (MPI). He was most recently a postdoctoral research fellow in the Center for Resource Recovery and Recycling, one of the centers within MPI. He is currently studying the recovery of valuable metals such as gold, silver, and copper from electronic waste. He earned a PhD in materials science and engineering at Pusan National University in South Korea. Carolyn Mayer is a postdoctoral scholar in mathematical sciences. Her research interests include information theory and applied discrete mathematics. Her current focus is in coding theory, a field concerned with sending or storing information in a way that achieves a balance between efficiency and reliability. She received a PhD in mathematics from the University of Nebraska. Katharine McIntyre is an assistant professor of writing. Her fiction and essays have appeared or are forthcoming in a number of journals, including Denver Quarterly, the Cincinnati Review, Copper Nickel, and the Cimarron Review. She had a Notable Essay in Best American Essays 2014 and a Special Mention in the 2016 Pushcart Prize anthology. She earned a PhD in English and creative writing at the University of Missouri. Rebecca Moody is an assistant teaching professor of philosophy/religion. Her research centers around religion in North Africa and the Middle East with a focus on Islam, though it also includes Judaism, Christianity, and indigenous traditions, which she approaches through their representation in recent film. She completed an MA and a PhD in religion at Syracuse University, where her dissertation focused on Moroccan film by women filmmakers as oblique forms of resistance to dominant narratives about Muslim women. Sneha Prabha Narra is an assistant professor of mechanical engineering. Her research employs mechanical engineering, materials science, and data analytics to advance the state of the art in manufacturing and materials engineering, working particularly on process development, optimization, and qualification methods for materials used in additive manufacturing. She earned an MS in computational mechanics and a PhD in mechanical engineering at Carnegie Mellon University, where she was also a postdoctoral research associate in the NextManufacturing Center. Hussein Nasralah is a postdoctoral scholar in mathematical sciences. The primary focus of his work is the application of probability theory and stochastic processes to problems in mathematical finance. The goal of his work is to use the tools of probability theory to find, or at least approximate, an optimal trading strategy in a financial market for a given investor on a specified time interval. He earned a PhD in mathematics at Wayne State University. Benjamin Nephew is a research assistant professor of biology and biotechnology. Prior to joining WPI, he was an assistant professor at the Tufts University Cummings School of Veterinary Medicine. He studies a transgenerational social stress–based rodent model of postpartum depression, anxiety, and associated early life stress and is currently investigating the impact of social stress and air pollution on immune factors, neural connectivity, and behavior. He earned a PhD in biology at Tufts University. Adam Powell IV is an associate professor of mechanical engineering who was most recently co-founder and chief technology officer at NFINIUM, a startup that invents and scales up new low-cost, clean technologies for primary production and recycling of magnesium, rare earths, aluminum, and other metals. In his research, he works on validated multiscale modeling of materials processes, mostly metals, with applications that include removing barriers to magnesium metal use for vehicle lightweighting and developing hard adherent coatings for high-temperature engine applications. He holds a PhD in materials engineering from MIT. Yevgeniy Ptukhin is a postdoctoral scholar in mathematical sciences. His research in statistics focuses on finite mixture models and Monte Carlo methods. In particular, he is interested in non-normal distributions with specified cumulants and correlation matrices. His current work focuses on investigating these algorithms in terms of cluster accuracy determination and parameter recovery effectiveness. He earned a PhD in quantitative methods at Southern Illinois University at Carbondale. Charles Roberts is an assistant professor of computer science with an appointment in Interactive Media and Game Development. He comes to WPI from the Rochester Institute of Technology, where he was a faculty member in the School of Interactive Games and Media. His research examines human-centered computing in digital arts practice. He performs internationally in the genre of live coding, which involves creating audiovisual art by programming it in front of audiences. He earned a PhD in media arts and technology from the University of California, Santa Barbara. Angela Rodriguez is an assistant professor of psychology. Her work focuses on health at the intersection of biology, psychology, and social factors. In particular, she examines how various types of stressors influence our health behaviors, in particular eating, weight and weight gain, and obesity. She earned a PhD in the health psychology program at the University of California, Los Angeles. William San Martin is an assistant teaching professor of global history. A historian of global science and technology, environmental change, and public policy, he is particularly interested in inter-American relations and Latin America in a global context. He is co-founder of an international non-profit organization focused on the science-policy interface in environmental and animal welfare issues in Chile. He earned a PhD in Latin American and world history at the University of California-Davis as a Fulbright Scholar. Lieutenant Colonel Jack Skiles is a professor of aerospace studies and commander of Air Force Reserve Officers Training Corps Detachment 340, located at WPI. He enlisted in the Air Force as a firefighter in 1996 and received his commission through Air Force ROTC Detachment 357 at Embry Riddle Aeronautical University, where he earned a degree in professional aeronautics. As a Weapons Systems Officer, he flew B-1s from 2003 to 2016. Most recently, he was stationed at Nellis Air Force Base in Las Vegas as the Deputy Director of Range Support. Thérèse Smith is an assistant teaching professor of computer science. Prior to joining WPI, she was on the faculty of Central Connecticut State University. Her current research in computational medicine involves charting the vital signs of high-risk patients in a way that eases the work of nurses and other caretakers. She earned an MS in biomedical engineering at Iowa State University of Science and Technology and an MS and a PhD in computer science and engineering at the University of Connecticut. Carl Soderhjelm is an assistant research professor of mechanical engineering and associate director of the Advanced Casting Research Center (ACRC), part of WPI’s Metal Processing Institute. His research focuses on processing methods for liquid and solid metals, with a focus on developing of materials and methods to make them better, cheaper, and safer. He received a PhD in materials science and engineering from WPI and continued his research as a postdoctoral researcher in the ACRC. Qingshuo Song is an associate professor of mathematical sciences. He was most recently an associate professorship at City University of Hong Kong. His research interests include stochastic analysis and its applications in mathematical finance and engineering. His current work focuses on the interplay of the stochastic exit-control problem driven by alpha-stable process and nonlocal Hamilton-Jacobi-Bellman equations. He received a PhD in mathematics from Wayne State University. Jefferson Sphar is an assistant teaching professor in the Interdisciplinary and Global Studies Division. His research focuses on the politics and practice of contemporary economic governance, with a focus on how uneven development is continually produced and reproduced. He has investigated these issues through long-term field research in Brazil. He earned a PhD in geography at Clark University. Erin Solovey is an assistant professor of computer science. She was most recently an assistant professor of computer science at Drexel University, where she was also co-director of REThinkCS, an NSF-funded Research Experience for Teachers Site on Machine Learning to Enhance Human-Centered Computing. Her research is in human-computer interaction, with a focus on next-generation interaction techniques, such as brain-computer interfaces, physiological computing, and reality-based interaction. She earned MS and PhD degrees in computer science at Tufts University. Yunus Telliel is an assistant teaching professor of philosophy/religion who was most recently a postdoctoral fellow at the Center for the Study of Religion at the University of California, Berkeley. His current book project focuses on the relationship between translation and science in modern Islam. His study analyzes the extent to which science-friendly translations help young Muslims navigate difficult topics of science and religion, such as evolution. He earned a PhD in cultural anthropology at the City University of New York. Qiang Wang is an assistant research professor in materials science and engineering. His research focuses on classifying the electrochemical reaction process and mechanism in iron-based and copper-based batteries with the goal of designing advanced batteries with high energy density. He also invents innovative technologies to reclaim useful elements from disused batteries. He earned a PhD at Wuhan University in China and has been a postdoctoral research fellow at WPI since 2014. Shari Worthington is a full-time instructor in the Foisie Business School. She has been teaching entrepreneurship and marketing courses at WPI for the past 10 years as a professor of practice and has more than 25 years of experience working with tech companies in management and marketing. Her research focuses on decision-making in tech venture founders. She has an MBA in marketing from Babson College and is a PhD candidate in business administration, with a specialty in entrepreneurship, at WPI. Haichong (Kai) Zhang is an assistant professor of biomedical engineering with an appointment in robotics engineering. He was most recently a postdoctoral researcher in the Department of Radiology and the Laboratory for Computational Sensing and Robotics at John Hopkins University, where he earned MS and a PhD degrees in computer science. His research is at the interface between medical imaging and medical robotics. For example, he is exploring the use of cooperative robotics in the control of medical ultrasound imaging and is engaged in cutting-edge research on the photoacoustic imaging of the brain.